William Watkins's masterfully-told 1999 debut novel. Hailed by critics upon its original publication for its "keen characterizations" and "cinematic" style, Cassina Gambrel Was Missing has been compared to both the best of Southern literature and Italian filmmaking! It's a coming-of-age romp through Memphis, Tennessee, in the late 1970s with scenes that shift from "the poignant to the grotesque to the comic to the vulgar." "Don't overlook his craftiness at pinning down a character in the space of very few words or some fancy footwork juggling past and present events…. Currently being adapted for the stage, this is an opportunity to read it now in its original hardback version before the stage version debuts! Part coming-of-age story, part comedy of manners, Cassina Gambrel Was Missing is "a fable that will make you laugh out loud, then cry at the breathtaking truths it tells." ....And it's a tale that could only happen in Memphis. 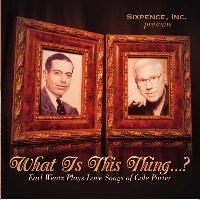 A very-limited supply of this hard to find treasure is now available! January Special: Only $14.95 plus shipping! 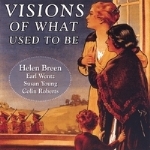 "Visions of What Used To Be," focuses on popular songs from the era of World War I with vocals by Helen Breen and musical direction and accompaniment by Earl Wentz. Click on the item name or the thumbnail picture for more information!